Virgin Mobile consumers can now purchase iPhones on the carrier’s prepaid wireless plans. Consumers will have to pay full price for the phones -- $649 for a 16GB iPhone 4S and $549 for an 8GB iPhone 4 -- but pay less for service than they'd pay for a plan that subsidized the cost of the phone. paid plans range from $35 a month for 300 talk minutes and unlimited text and data to $55 a month for unlimited voice, text and data. Although data in the plans is "unlimited," Virgin, which is owned by Sprint, throttles data speeds after you hit a threshold of 2.5GB during a billing period. Subscribers to prepaid plans receive a monthly discount of $5 if they choose an automatic payment plan. For example, with automatic payment, the basic plan would be $30 a month. Until recently, iPhones could only be purchased through the major wireless carriers -- Verizon, AT&T and Sprint -- who subsidize the price of the phones but offset those subsidies through higher service charges. So while you might pay $100 to $200 for an iPhone, data charges alone could cost you $70 to $100 a month, and you have to pay those charges for 24 months. Over that 24-month period, a prepaid plan like Virgin's can save a consumer lots of money. For example, when you add the cost of a 16GB iPhone 4S ($649) and 24 months of service ($720), a basic Virgin plan costs $1,369 for the period. A comparable Verizon plan would cost $2,360 -- $200 for the phone and $90 a month for 450 minutes, unlimited text and 2GB of data. That's a saving of almost $1,000. 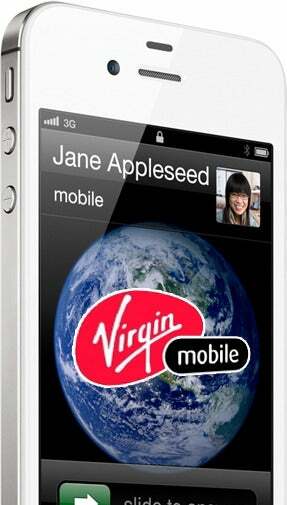 Virgin isn't the only prepaid carrier to bring the iPhone to its network. In May, Cricket Wireless started offering iPhones to subscribers with an unlimited talk, text and data plan of $55 a month. Unlimited data in those plans is throttled at 2.3GB. iPhones in the plan are slightly subsidized by Cricket. A 16GB iPhone 4S costs $499 and an 8GB iPhone 4, $399.